Here we go all you .243 advocates. I personally own a .243 but have yet to use it versus an animal. Sing her praises. Why is she your caliber of choice? enough power for 300m shots lower recoil and to be honest I don't go many places that I would shoot further than that and be certain I would find the animal .if I was going to be shooting past 300m I would get either a 260 or 7mm08 as not a large step up in recoil and capable out to 550m . I think also that confidence is a major factor in calibre selection having not that long ago stepped up in calibre from a 223 that I have shot all my deer with due to shooting a large bodied stag and feeling a little undergunned using 55gr projectiles the 243 has more oomph at 300m than the 223 at the muzzle with the loads I was using. Boar Freak, SlimySquirrel, 300CALMAN and 6 others like this. WillB and berg243 like this. @gimp what was the old RATGB saying??? I everything I shoot with it dies. Low recoil, easy to find ammo. pleasant to shoot. Great for wife and kids. Have used a .243 for many years, never let me down but have let it down an odd time, BUT I prefer the 257 Roberts. shooternz and Sarvo like this. My 243AI. 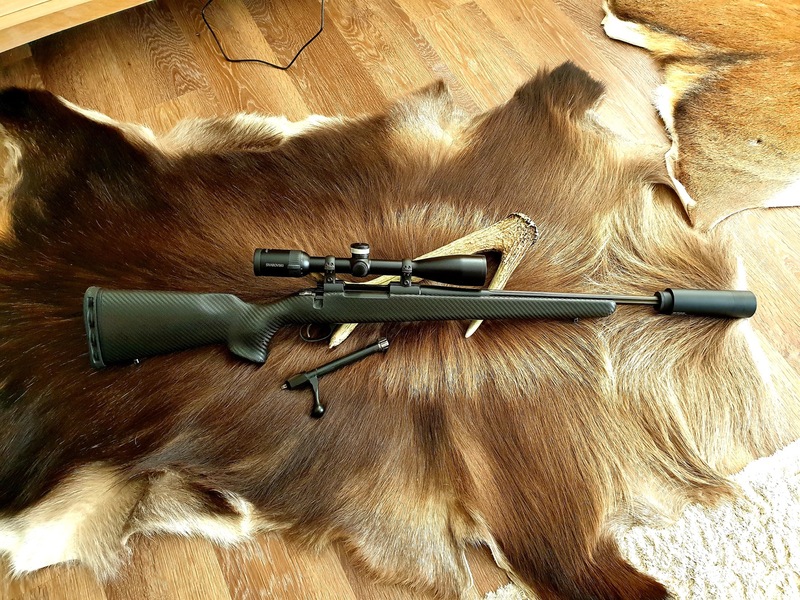 Smacked over a fair few good bulls with this rifle, they hated it. kiwijames and stevodog like this.